Beginners Yoga, Yoga for Boomers –And More! Classes tailored for the benefit of the students in the room, whether it is to learn basics, to build the core, stimulate strength in the bones, learn how to breathe to combat anxiety and mental fluctuations, or simply as a sanctuary from a busy lifestyle. We are experienced and trained teaching students from 18-98. Want to start practicing one pose right now? Click here. See the schedule page for live classes or contact me for inquiries and more information. Enjoyable and safe yoga practice to improve your balance, strengthen your bones and core, and relax. 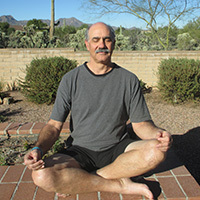 The class is comprehensive offering physical, meditative, and yoga breathing techniques for optimal health. All levels welcome. 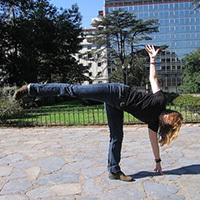 Six factors contributing to improved balance are described here. If you are a day older than yesterday, you are aging! This series is for those interested in learning how yoga can be employed for wellness and a quality “health span”. Workshop is appropriate for relatively healthy and physically able participants. The session and practice will not include chair yoga or medical advice for specific conditions. Full schedule details here. This yoga practice is for people who are unable to perform standing postures safely, those who can stand but need to use a chair for balance, or anyone who needs to work at a desk most of the day. To learn more about chair yoga with an accompanying practice video check here. These yoga sessions are a combination of postural education and yoga for those who need to sit for their work, as well as yoga and meditative practices for stress management. Ready to get started? View our class schedule or book a private session.